Naruto, Son of Minato Uzumaki, a young man born and raised in the hidden leaf village was all alone at first. Living a nightmare of a childhood knowing he had a demon inside him. Dreaming that one day he would be Hokage of the village, and the best 1 at that.People from his village treated him different, they feared him and hated him.Soon enough he got along with a teacher from the ninja academy Iruka Umino. Later on meeting Sasuke , Sakura , and master Kakashi his life began to turn. 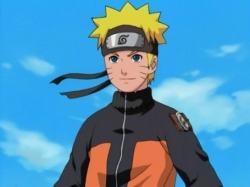 Naruto known as a funny lay back ninja lived his years through the chunnin exams and all well. Happiness wouldn't last forever. Orochimaru had convinced his best friend Sasuke to join his side to gain power. Naruto and his squad went to get him back and rescue him from his fate. Fiercely his squad battled against the sound 5. Leading to the epic battle of Naruto and Sasuke at the Valley of the End.He failed.Naruto now has spent 2 years training with Jiraiya for the day he might get another chance to get Sasuke back from Orochimaru's Grip. Not the only problem he faces. Also knowing that the organization Akatsuki has him on there wanted list as a Jinchuriki. They also had once Gaara on there list and captured him. He and his team fiercely went to get him back and they did. 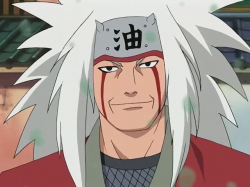 He has to prove himself capable of stopping them, and possibly stopping his best friend from an all out war.The problem is he doesn't know how yet, now with the shocking news that Jiraiya has died, he journeys with the toads to become a sage. Sasuke was raised with his parents and elder brother as a child. His life was great top of his class and got all the attention. Since His father paid more attention to his brother he wanted to prove himself with the fireball jutsu. His father showed no interest. One night coming home from school Sasuke found his parents and all the Uchiha clan dead. Crying and Running for help he discovers is brother in the room with his dead parents. In confussion that his elder brother Itachi Uchiha would have killed his family he ran away from the scene with the mercy of his brothers sharingan. From that point on sworn to avenge his parents and clan death to one day surpass his brother and kill him. Meeting friends like Naruto and Sakura he bonded. When Orochimaru gave Sasuke the curse mark he began seeking power and ran away from the village with the help of Orochimaru's men. Stopped by Naruto they fought an epic batle of friendship and Sasuke managed to escape. 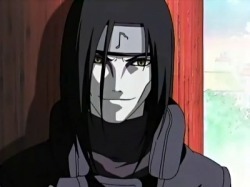 Hoping that Orochimaru would give him the power he needs to kill his brother Itachi. Two years after he finds himself meeting Naruto again as Naruto crumbles to his feet. Afterward killing Orochimaru and consuming some of his powers. Forming a team called "Hebi" containing Suigetsu, Karin, and Juugo. 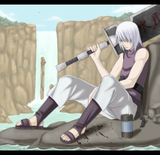 He sets out in search for Itachi and he ended up winnig in a devistating match. Now that another Uchiha finds him and tells him the truth about the leaf village ordering Itachi to kill his clan he and his team join forces with akatsuki to destroy the leaf village and bring back the Uchiha clan. Sakura, a nice girl from the village, is another one of those characters people get into. She grew up hating her rival Ino and began beat all the time. Making friends with Naruto and Sasuke she grew up liking Sasuke and fighting over him with Ino. During the chunnin exams she proved her self to Ino and it was a draw. After all her adventurers with Kakashi. Naruto, and Sasuke she had a nice relationship with them. After the tragedy of Sasuke leaving she and Naruto trained for 2 years in hope to get him back. 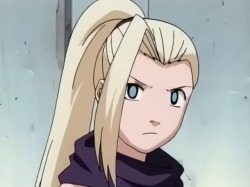 Tsuade, the 5th Hokage and a legendary sannin, agreed to help her become a medical ninja. 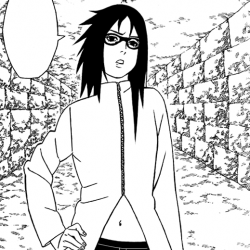 Facing Battles with foe like Sasori and the encounter with Sasuke made her eager to get better for the next time. Kakashi use to be an ANBU Black Ops and with one mistake in a mission one of his men fell. As he progressed he became a jounin and was assigned to be Naruto, Sasuke,and Sakura's sensai. He thought them throughout most of the series and was there with there harsh times. Kakashi loves reading his makeout series books, but dont underestimate him, for his sharingan is a handfull. Now he's on naruto and sakura's side helping them fight against Akatsuki and any obsticles there. 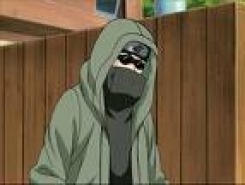 Sai a ninja who carries a fake personality because of his training without bonds. Sai lost his brother of natural causes. He loves drawing and he was making a book about him and his brother. 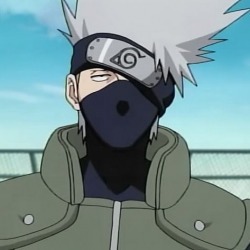 He was placed as the new member of team kakashi. When he losses the book naruto and sakura find him and give it back making a bond with him. Looking at how naruto had a strong bond with Sasuke he understood. Now he has asked permission of Danzou to stay with his team and further study bonds. 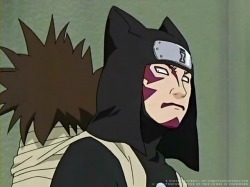 Yamato is an Anbu Black Ops who was chosen to lead the new team Kakashi while Kakashi recovers. Yamato is special because he is the only with wood element just like the first hokage. He was one of Orochimaru's experiments to place the 1st hokages DNA into other genetic children. None to Orochimaru's knowing survived. After meeting his team and going on the mission to stop Orochimaru he saw Naruto get out of hands and turn into the nine tails. Luckily like the first, he too is able to control the nine tails inside Naruto a little. Now he and Kakashi are training Naruto for the better. Known Jutsu: Healing Jutsu, Summoning jutsu "slug", Chakara powered punches and kicks, and ninja art: Mithotic Regeneration. Famous medical ninja. Her strength is formidable. 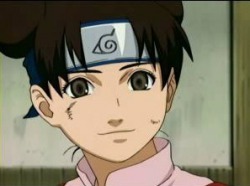 She was found by Jiraya and Naruto and requested to come back to the village. 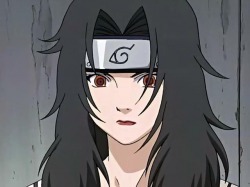 She refused and left later finding Orochimaru. Jiraya quickly catching up came along to help her. Fighting them Tsunade was down while Kabuto was about to take a blow at her. Naruto got in between them and stopped the attack. From that they she realized how Naruto reminded her of her boy friend and younger brother. She stould up and fought. After the battle she accepted being hokage and stayed their faceing the ups and downs. 2 years later when everyone found out akatsuki was on the move Jiraya left in search. He died causing pain to tsunade. One of the Sannin: the Legendary Three Ninja of Leaf Village. Unconventional, but a highly skilled instructor, he helped train the heroic Fourth Hokage. Even so he also trained Naruto and helped him with Rasengan. He is a pervert who calls looking at women "research". He helped Tsunade be Hokage and 2 years training with naruto. For alot of time he has been investigating the where abouts of akatsuki. When he came to a conclusion that the leader was Pein he went after him despite that Pein use to be his student. A stunning battle that came close but he was no match for Pein. He sadly died in battle but sent a sercret message to the village before he did. The students and the Hokage both trust this young Academy teacher. He loves all his students, and loves Leaf Village, and would never harm anyone without cause. On the other hand, he tends to worry too much...Iruka's heart is clear, broad-minded, and warm. But since he lost his parents at an early age, it is clear that his pain led to an understanding of others...he knows that Naruto will one day become the best hokage. 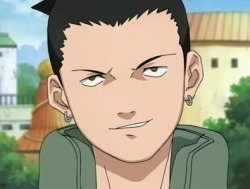 Shikamaru is a lazy ninja that often doesn't care about much things. Back in the chunnin exams he used to think battles were a drag or he ran away. However Asuma showed him how brave he was and was a role model for him. Since then he is now never afraid of a fight and is a great leader. He lead the team for Sasukes retrieval. He strategizes and analyzes everything to have it all planned out. On a mission to stop akatsuki he lost his dear sensei Asuma, him and his team, Ino and Choji left with kakashi in search of them. He was able to avenge Asuma by defeating Hidan and proved a worthy ninja. On his breaks he often hangs out with friends, plays chess, or proctors an exam. Data: In the hidden leaf village, Gluttonous, easy-going, Loves eating, hates being called "fat." 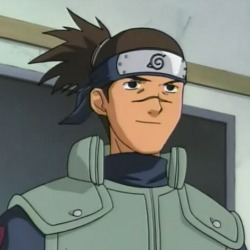 Choji is a ninja that always got made fun of as a kid until he met Shikamaru who became his first best friend. People never thought of him as a serious opponet until the time he went on the Sasuke retrieval and showed that he's not just some fat ninja. 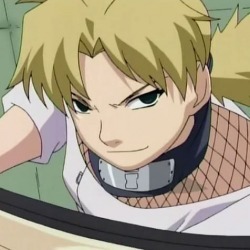 He enjoys working with his team of Shikamaru, Ino, and Asuma. When they met, Ino was like an older sister, guiding the shy Sakura. Let's look closely at the Leaf Village's greatest rivalry! Which Kunoichi is better? 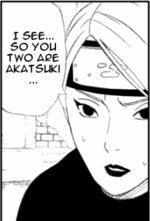 Ino is a little selfish, and lacks patience. Sakura doesn't yield to difficulty. Their battle in the Chunin Selection Exam was evenly matched. Their physical strength is identical! 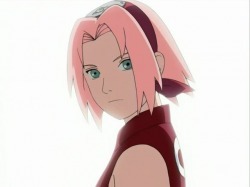 She has carried out missions and even became a medical ninja to keep up with sakura. Optimistic.Leader of Squad 10, the team comprised of Shikamaru, Ino and Choji. Asuma is in love with Kurenai and is waiting for an upcoming child. He is related to the third Hokage. 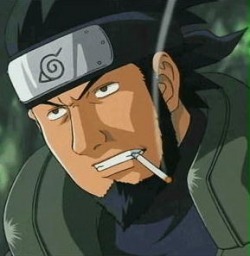 Asuma loves smoking and hanging out with Kurenai. He was once part of the 12 ninja guardians, but they unfortunately split. Half of them died in battle. His name still remains legendary. Especially when Sora came in and remembered him about his past. Sad thing is he fell to Hidan, member of akatsuki. He knows Shikamaru, Choji, and Ino will do well in life. Shy, passive ninja. A member of the main branch of the Hyuga clan, Hinata was never confident in battle until Naruto inspired her to find her own ninja way. Since then she has had a major crush on Naruto. She believes he will be the best and is often stuck in missions with him. Naruto, not knowing she likes him always approaches her in funny ways. When that happens, Hinata faints because he is either to close to her or he hugged her. She always tries to improve for Naruto. 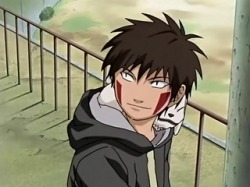 Kiba is never without his ninja hound, Akamaru, who is his life partner wherever he goes. Kiba is in Hinata, Shino, and Kurenai's squad. He's a bit arrogant and thinks he's top dog. A long time after his defeat with naruto in the chunnin exams he realized how wrong he was. Akamaru has now grow ten times bigger and he is much wilder. 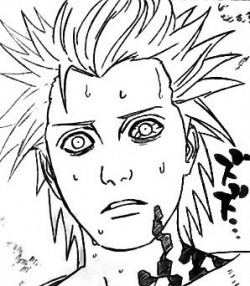 His experience with sakon, 1 of the sound 5, showed how much strong akamaru's and his bond was. He later followed naruto in the third Sasuke retrieval, hoping to get to him before Akatsuki does. Secretive, poker-faced dude. He is A member of the Aburame clan, who use a parasitic insect for their ninjutsu. Shino is often considered weird and gets depressed when they leave him out of missions. 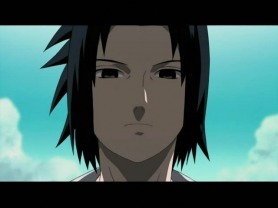 The mission most recently was when he went with naruto for the 3rd sasuke retreval. Leader of Squad 8, the team comprised of Kiba, Shino and Hinata. Kurenai loves Asuma and secretly dates him. Her genjutsu skills are strong, but not stronger than itachi's . 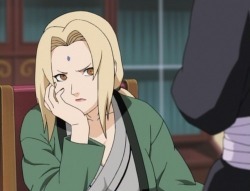 She carries both her's and Asuma's son and is left to take care of him by herself after Asuma's death. 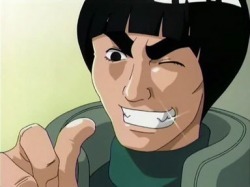 Lee is a ninja with no ninjutsu or genjutsu skills at all. 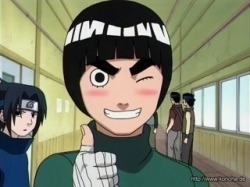 With only taijutsu to realy on he made his own ninja way with the help of his teacher Might Guy. His passion for training makes him some sort of teachers pet. In the chunnin exams he went up against Gaara of the sand and in a devistating attempt to win used the hidden lotus, but still lost. He even managed to go help Naruto to fight the sound 5 despite his injury. Lee from then on trained hard and always does what Guy says and he loves it. 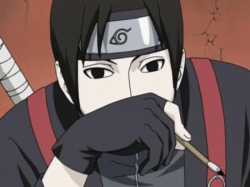 He along with his team of Neji and TenTen now carry on helping Naruto and his team. Among the female ninja is ten-ten who is a weapon specialist who gives it her all.Despite her loss in the chunnin exams, she never gave up. She love Lee's passion for training and helps him. She is the unique member of team Guy's squad. Neji is the cool attitude type of ninja that once believed that one has his destiny written and that you cant change it. Believing he was the most superior genin at the time he mocked everyone of there failure. Telling Naruto that he was a failure during the finals in the chunnin exams he realized he was wrong. For Naruto turned the tide and showed a Failures True Strenght. That day neji realized everyone writes there own destiny. 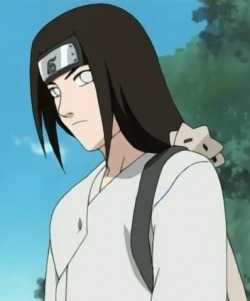 Afterward facing the though match with Kidoumaru he became stronger and wiser.Now Neji's part of the team of the leaf Village's next generation. Known Jutsu: Sand manipulation, Sand coffin, Sand burial, Sand tsunami, Sand storm, Sand shuriken, Summoning jutsu "shukaku", Shukaku shield, And shukaku spear. Cold-Blooded, selfish when he was young. Created as a weapon, Gaara hates the world and lives only to kill. His abilities are beyond those of most Chunin and Jonin -- he is extremely dangerous. As a child, Gaara's own father tried to assassinate him. If that is bad he like Naruto was made fun of and hated by the villagers. That trauma influenced his own cruelty. Unlike Naruto he never had gotten any friends. Being defeated by Naruto he saw that having strong bonds with others made him stronger. So he changed his ways and got along wit his brother and sister well. Now he is kazekage of the sand village and is earning his respect from the village. Suddenly two year later, Deidara, member of Akatsuki came in challenged Gaara wanting to defeat him and get the shukaku. Deidara ended up winning. Akatsuki took away the shukaku from him and in result his death. After Naruto's team managed to get back Gaara's body grandma Chiyo was able to revive him but in return take away her life. Everyone welcomed him back and he had made a strong bond with Naruto Uzumaki. He returned to his village to take the Kazekage thrown. 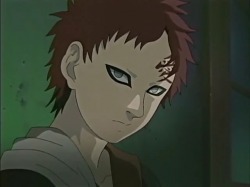 Gaara and Kankuro's older sister. Kicks aside unconscious foes, uses her Giant Fan to wave good-bye to dying enemies - extremely heartless personality. It seems to have something with Shikamaru. But anyway she is glad that Gaara's back and she now owe's the leaf. Gaara's older brother, sent with him from the Hidden Sand Village. He uses his Puppet, Karasu for some very unusual attacks, which have caused problems for many ninja. After Kankuro realized that Gaara changed he became more confident in him. Kankuro saved Kiba from the sound 5 in the mission to get back Sasuke. When his brother was captured he went following Akatsuki on his own and ended up fighting Sasori,an Akatsuki member. Since he lost he had been injected with poison and almost died. Fortunately Sakura Came up With a potion to cure him. With Gaara back he is at the leaf's disposal. 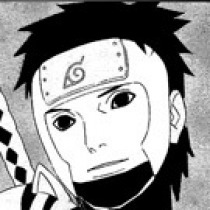 Elder Chiyo has a grandson who is in the Akatsuki, Sasori. On the mission to save Gaara she and sakura stay behind to face of with Sasori. She felt sorry for how sasori turned out. She was there in his childhood without parents. She put together two puppets that looked like his parents but it was no use. His impressive display of puppets was of trouble Sakura got the courage to fight him and along with granny they both killed Him. 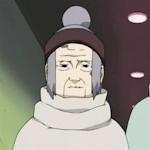 In the end Granny Chiyo admitted that she was the one who sealed the "shukaku" in gaara. So she gave her life up to revive him with her jutsu. She will be remembered. Like Naruto and Gaara, Sora also lived the life of a loner. Being feared by all the monks at the temple because of his strange powers. They feared him because when he was a boy because his evil powers overwhelmed him and he almost destroyed the whole temple by himself. He hated his life because they mocked his father at the temple, saying he tried to turn against the 12 ninja guardians. When he joined forces with Naruto's team he began enjoy his time with them. They presented him to the village. Soon people who wanted to destroy the village wanted to make Sora turn against the village and told him the shocking truth. That Asuma, 1 of the 12 ninja guardians had killed his father. Sora Then teamed up with the enemy so they can destroy the village. They caused a blackout and they attacked leading to the battle with the mastermind behind all this and Asuma and Naruto and Sora. Known Jutsu: Forbidden jutsu's etc , snake strike jutsu, python seal, Summoning jutsu: Reanimation immortality jutsu and summoning jutsu "purple snake and hydra"
Ambitious, cruel, egoistic. One of the Sannin: the Legendary Three Ninja of Leaf Village. 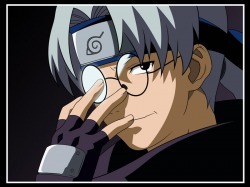 The most powerful and most evil of all village enemies, who personally tried to overthrow Leaf Village, has sacrificed countless lives for his own self interest. He was responsible for the third hokage's death. He later convinced Sasuke to join his side to gain power. Sasuke not knowing that Orochimaru only wants his body and the sharingan. Later on Fought with Naruto in a mind blowing battle he and Kabuto retreated. The next time they met he Sasuke and Kabuto retreated. When Orochimaru was ready to betray Sasuke, Sasuke took advantage of his sick condition and killed him. A part of him was left in Sasuke's body and the other half in kabuto. When Sasuke fought Itachi, the part of orochimaru inside him was able to get out but was killed by itachi..
Kabuto was originally from the Leaf village, but turned out to by a spy for the sinister Orochimaru. Being by his side throughout all of Orochimaru's plans. When Orochimaru discovered that Kabuto was a spy for akatsuki serviving Sasori he broke the jutsu and Kabuto became his faitful servent and medic. During the time Orochimaru was about to transfer bodies with Sasuke he found that Orochimaru was dead. He quicky transfered what was left of him in his body. Now kabuto carries the last part of Orochimaru hoping to harness his powers. Little is known to this ninja. But the fact that Hidan and Kakazu captured her like other jinchuriki's. Originally from the mist village was captured by orochimaru and kept prisoner. When sasuke killed orochimaru he set him free so he joined sasuke's team called "HEBI". He was once a student of the dead Zabuza Momochi and went to take his sword. 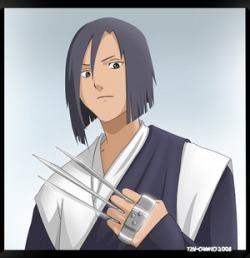 His goals while with Sasuke is to find Kisame, an akatsuki member, kill him and obtain his sword "Samehada"
Karin was one of Orochimaru's subordinates and a guard from there southern location. Sasuke need her to join his team because she carried an ability she had. At times she's a bit desperate for Sasuke but gets pushed away. She doesnt get along with Suigetsu at all. Juugo was contained as Orochimaru's top test subject in the northern hideout. Juugo's amazing power was considered dangerous and he was kept looked up in a high tech cell. From this power Orochimaru was able to copy and place on others. Later to be known as the "Curse Mark". Juugo only talked to Kimimaru and became friends. When Kimimaru went to retreve Sasuke and died doing it. He didn't refusse to join him and became part of "HEBI".